Still trying to figure out if that means they are faster or not.. Guess I am going to find out..
Ron, That is a hardware issue... the nut on the end of the tiller has to be right. 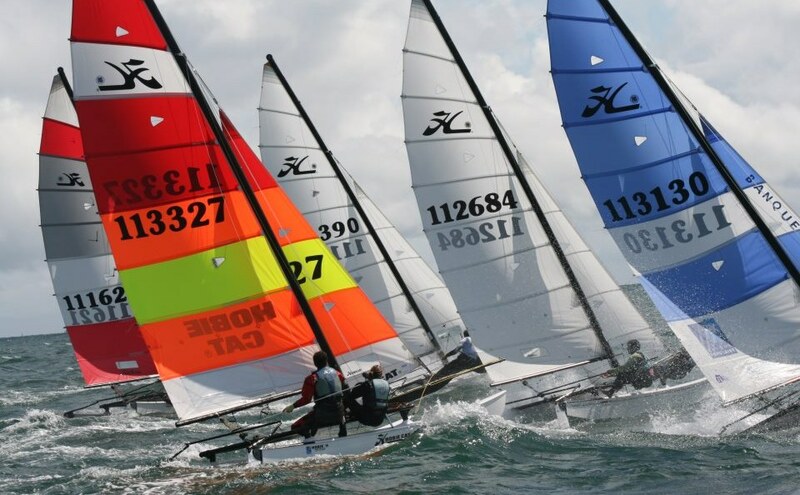 Raced the eugene multihull regatta this weekend. Sails are awesome! 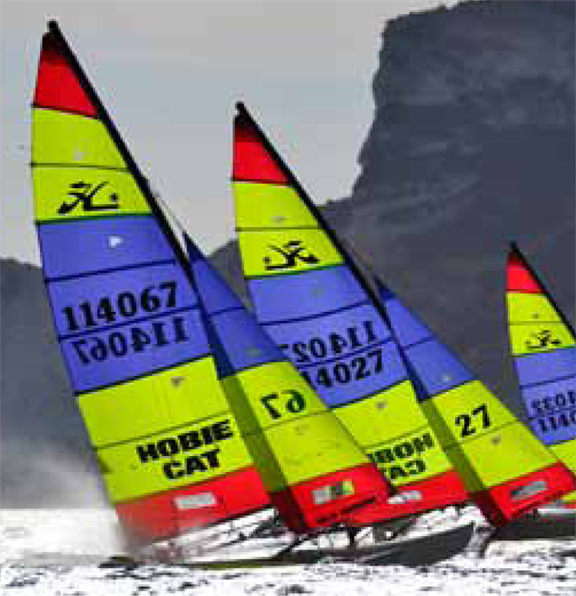 Noob to this site but an old Idaho Hobie 16, 18sx & 20 sailor. 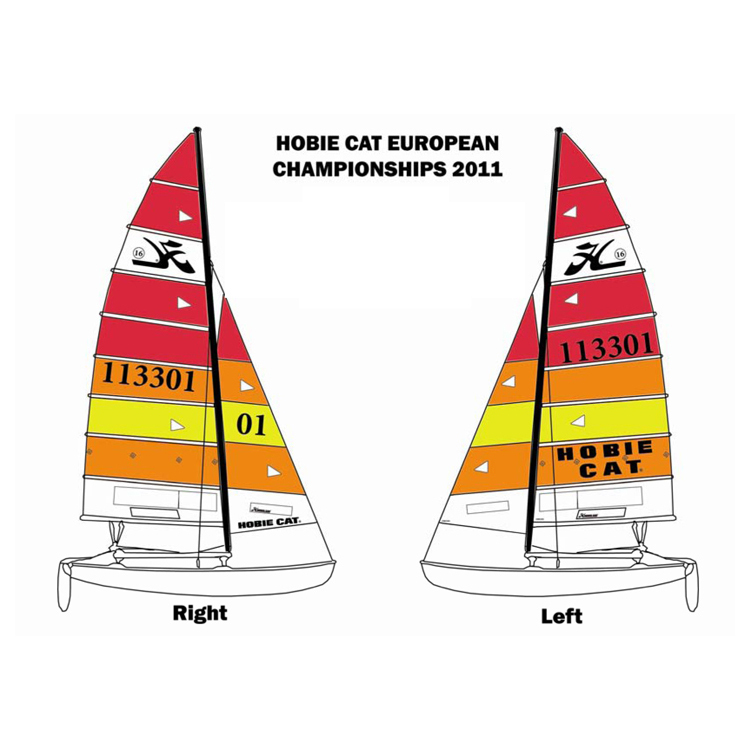 Matt - are there any Euro sail sets still in stock and if so what colors. Also - if so - can you PNW guys recommend a shop? To my knowledge we have no Hobie sail dealers here in potatoland. I got mine through http://www.westcoastsailing.net/ in Portland. They had them drop-shipped straight to me. Call em up and see what Hobie has in stock! Thanks - I gave Andrew at WCS a call this am. 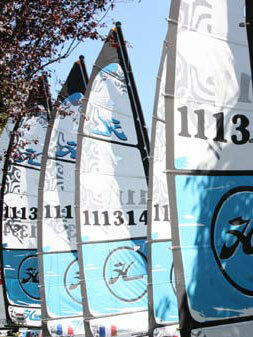 Will follow up - I need new sails - can't beat the price or colors! Post pics when ya get em! Ordered the Austria 11's main & jib via West Coast Sailing to be dropped shipped. Thanks for all the help guys - this Noob appreciates it! Only pic I could find...SWEET! NEWLY RECEIVED!! Two sets each Blue Lagoon and Hibiscus. Unfortunately will be down getting a hip replaced next week - hope to have pics at a fall regatta. OK, it has been the 'lost summer' for sailing. I sailed once in late May, and then again last Monday. 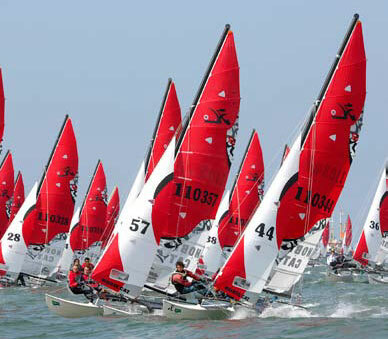 I bought the Palma Euro 2013 sails and LOVE THEM!! They look great. One question, however. I was looking at the jib wire and the clamps that hold the loop intact, and there is some green corrosion forming. Should I be concerned? I only sail in fresh water, but assume these were last used in salt water for the championships, then sat over a year in a box. I was thinking about dipping it in Coke or vinigar to try eating away the corrosion, then rinsing completely. Will that help? Or should I do something else? Matt, what's the current availability? I wouldn't worry about it too much - maybe take a stiff bristle brush to it to remove the crud, but I wouldn't try any solvent on them. Thanks Matt. I won't stress over it then and treat it as cosmetic.